This page describes the EPROM Programmer that Bill Brendling demonstrated at Memofest 2013. 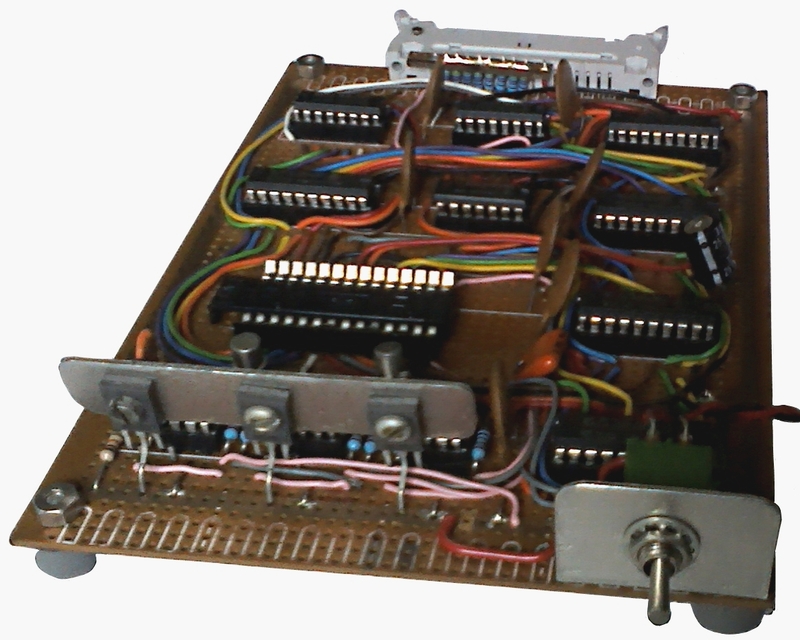 Bill created this in the 1980s to help with his other electronic projects, giving him the ability to program EPROM devices using his MTX via the parallel port. 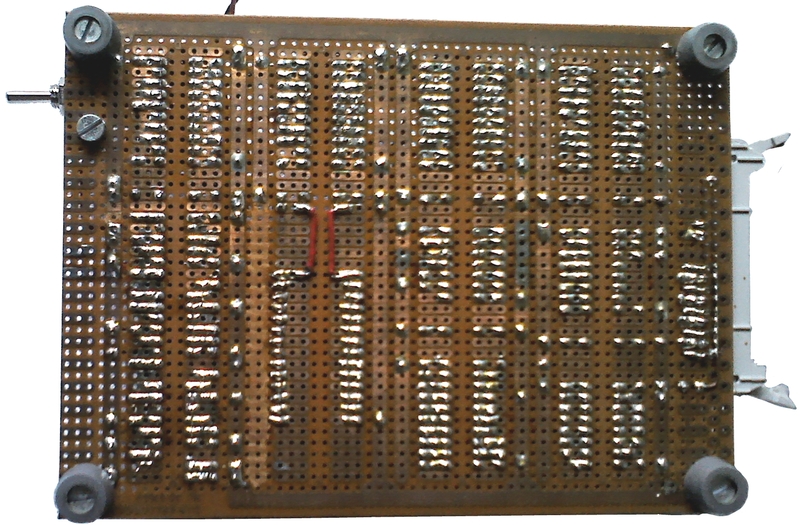 The board was built on a prototyping board as shown in the photo. Bill has provided a couple of additional photos to show some of the details of the board. In the foreground of this photo you can see the three output power transistors bolted to the vertical heatsink. In the background you can see Bill's d.i.y. SIL resistor package for the pull-up resistors on the printer port data and strobe lines. Bill has also provided some notes on the original design . 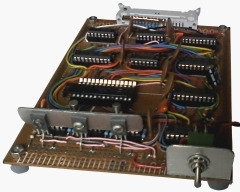 . . . .
[The EPROM Programmer is more complex than the PIC programmer design,] "as 27C64 or 27C128 EPROMs (which I use) require 8 data bits and 13 or 14 address bits simultaneously. In order to achieve this I use the top two bits of the printer data to address four six-bit latches, giving a total of 24 bits. D5 Program enable: High to program, low to read back. D0 – D3 EEPROM address bits A10 to A13. D0 – D5 EEPROM address bits A4 to A9. 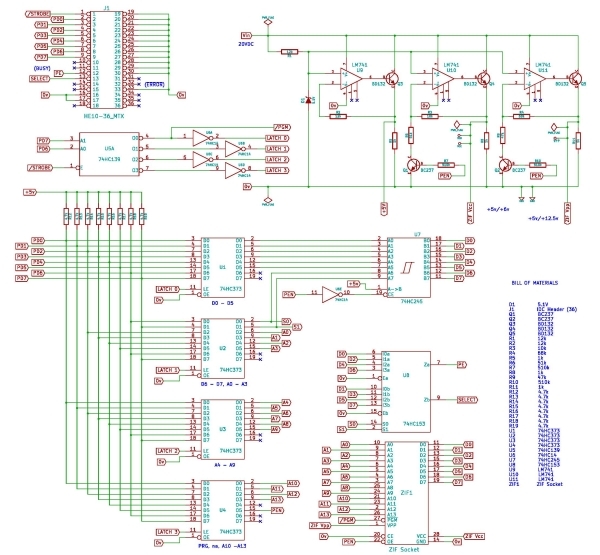 D2 – D5 EEPROM address bits A0 to A3. D0 – D1 During write: EEPROM data bits D6 and D7. During read, multiplexes pairs of data bits onto the Memotech printer port PE and SLCT lines. D0 – D5 EEPROM data bits D0 to D5. Also, the STROBE on this latch applies the programming pulse to the EEPROM. 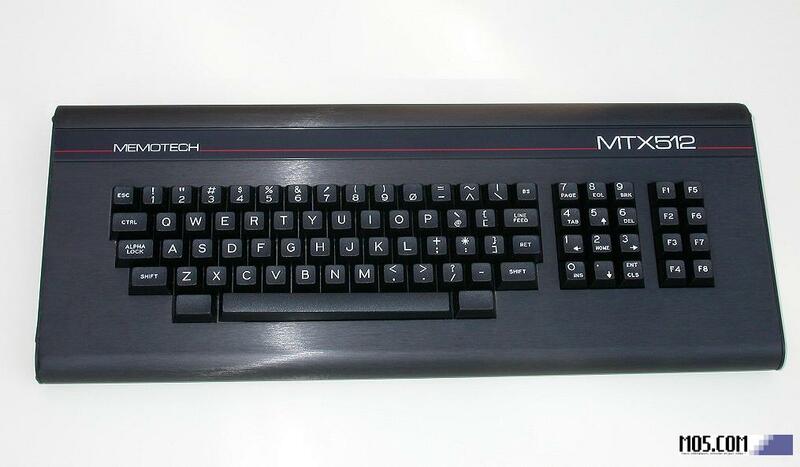 During programming, the program enable bit (D7 on latch 3), address bits and top two data bits are first written to latches 1-3, then the remaining six data bits are output to the printer port, and a timed STROBE pulse applied (timed by CTC). To read data back, the program enable bit is cleared and the address bits written to latches 1-3. 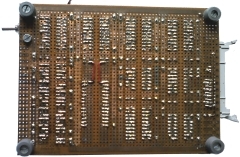 The bottom two bits of latch 1 are used to step through the output byte, two bits at a time. Do not use latch 0 during reading. BLOWPROM hexfile Program an EPROM. DUMPPROM outfile size Read the contents of an EPROM back into a hex file. The size is specified in Kbytes (so usually either 8 or 16). 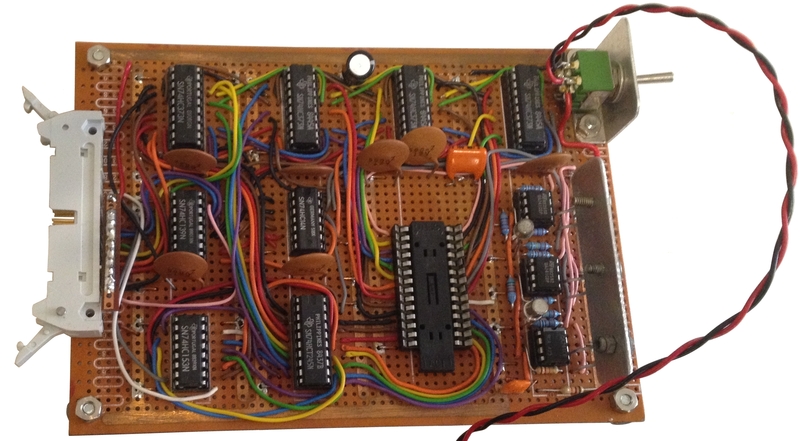 READPROM Interactive display of pages from an EPROM (hex & ASCII). 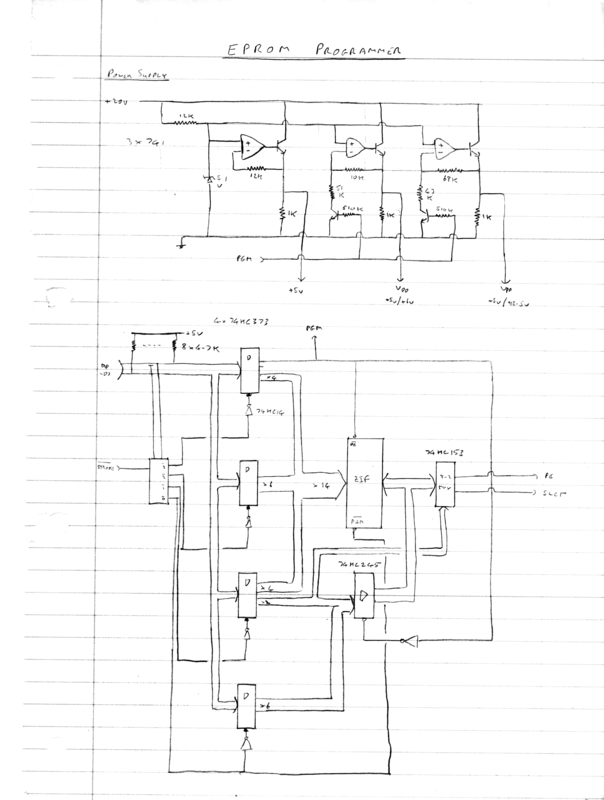 Bill has provided a sketch of the original design, I have taken the sketch and drawn a schematic using KiCAD, note the KiCad schematic reorders the pins on the interface connector for a straight through cable between the MTX printer port and the programmer.